One of my favorite food blogs is Kalyn's Kitchen, a very popular blog by Utah's own Kalyn Denny. Our garden is overrun with fresh tarragon, so I recently went searching for recipes utilizing the herb and came across this one of Kalyn's. 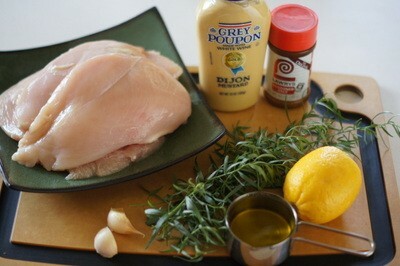 --- It's a very easy recipe: You just make a quick-and-simple mustard-tarragon marinade, coat the chicken and grill it up! For Kalyn's original recipe, click here. The recipe that follows is my version of Kalyn's. I tweaked it a little. 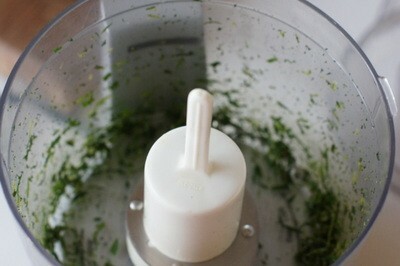 Place the tarragon into a mini food processor and chop finely. Add all the remaining ingredients except the chicken to the processor and blend until you have a smooth, thick marinade. 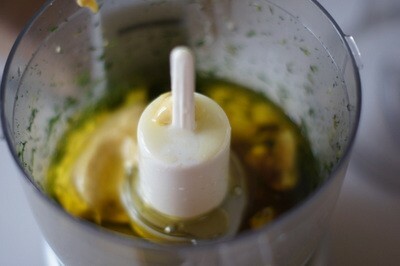 If the marinade is too thick (like a paste) add a little more olive oil and process a little longer. 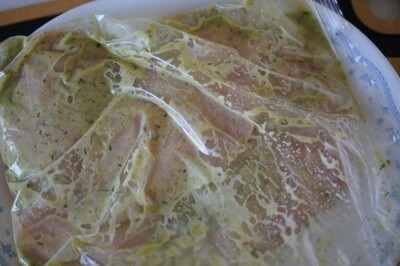 Place the chicken and marinade into a Zip-loc plastic bag and toss to coat the chicken thoroughly. 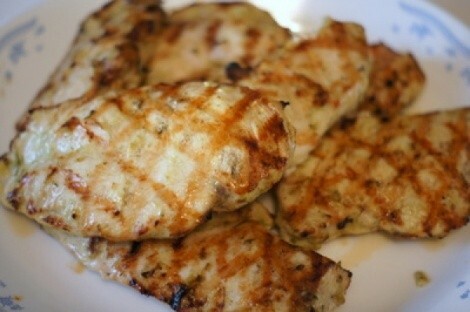 Place the chicken in the refrigerator and allow it to marinate 6-8 hours. When you're ready to cook, preheat a grill to high heat, allowing the chicken to come to room temperature while the grill heats. 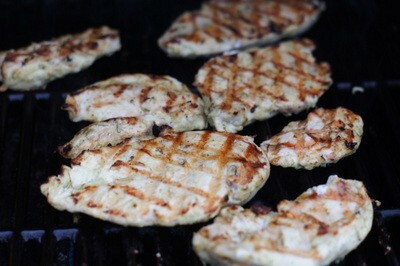 Grill the chicken until cooked through, about 4 to 6 minutes per side, depending on the thickness of the breast. 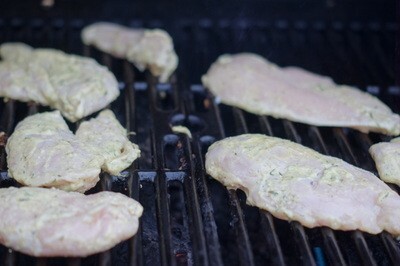 If you haven't pounded the breasts thin, it could take as much as 7-8 minutes per side to cook. I cooked the breasts in these photos about 4-5 minutes per side and they came out very tender and delicious. 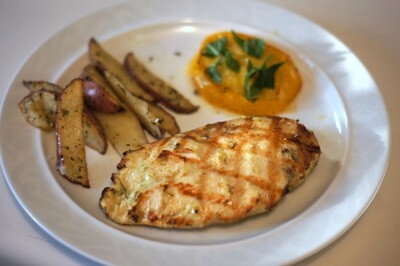 The tarragon-mustard chicken is served here with oven-fried red potatoes and grilled heirloom tomato with basil.